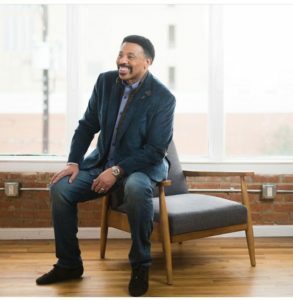 Senior Pastor of Oak Cliff Bible Fellowship in Dallas, Texas, Tony Evans has appealed to the public to pray for his wife after doctors diagnosed her of cancer. News credited to Christian Post reports that Pastor Evans shared his request on Tuesday in a statement which he posted on Social media and shared via email. The cleric wrote, “Friends, please pray for my wife, Lois. Lois has been a cancer-free patient under care for a while. However, her last routine scan revealed that her rare gallbladder cancer has returned. “We are going to trust God in the dark for a solution, and we are asking you to fervently pray to that end.” He wrote. Evan requested people to pray for “God to intervene” as they continue to search for an effective treatment to cure it once and for all. However, the family is still grieving the loss of the cleric’s niece, Wynter Pitts, who passed on last year. Meanwhile, Evan’s children, Priscilla and Anthony have taken to social media to share their father’s message of prayer for their mother. He went on to declare that they, as a family, will cling to the joy of the Lord as their strength and will not lose hope for Lois’ healing. The well-known preacher explained that they have no further information on her prognosis but will keep everyone abreast. This entry was posted in Christianity, Columns, Faith, Love, News, Pray and tagged Anthonyevans, Dallas, drtonyevans, Oak Cliff Bible Fellowship, Priscillaevans, Texas. Bookmark the permalink.